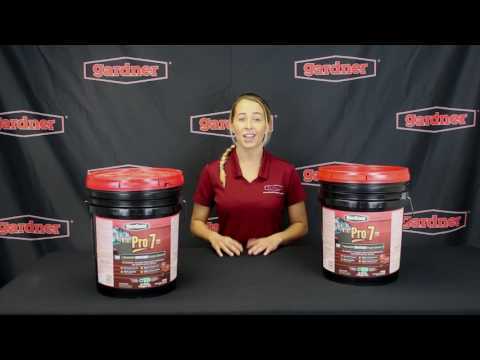 Gardner® PRO 7™ delivers excellent lasting protection and a like-new ­finish for asphalt and blacktop. Ideal for sealing new, aged asphalt and restoring old worn pavement, Gardner® PRO 7™ fills small cracks for an even ­finish, and provides durable protection against damaging sun and rain. Gardner’s trademark Gel formula virtually eliminates stirring and ensures a more consistent ­finish, making your sealing project faster and easier! 7565-GA 5 gal 12" x 12" x 14.75"